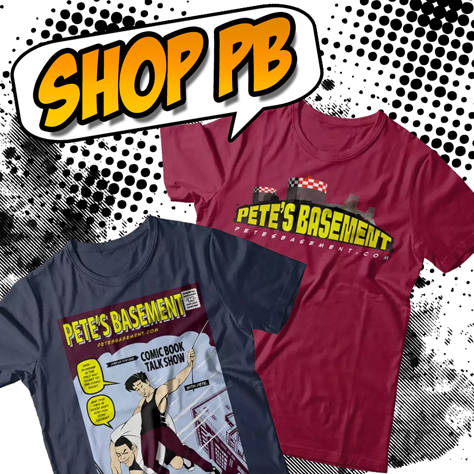 Pete's Basement NYCC 2018 New York Comic Con Wrap-Up Show! Pete, Red, Greg, and Cheeze hit the roundtable to talk about their adventures at year's New York Comic Con, that took place from October 4th through the 8th at the Jacob Javitts Center in New York City! The cosplayers are always a hit with the Basement Crew, and we'll showcase some of our favorites here! Plus a visit to the XM Studios booth to check out all the awesome statues. New stuff that premiered during the con. Friends we met and friends we made. Plus, Pete bought some stuff. All in all it was a fun time had by all, so hit the play button and we'll tell you all about it! Stranger Comics' Sebastian Jones joins the roundtable in a live Skype interview to talk about the new Kickstarter for Niobe: She Is Death, the sequel to the critically acclaimed and well-received mini-series Niobe: She Is Life! Niobe's life has changed dramatically since the events of the first series, as she finds herself now on a darker path. Seb is really excited for this new project, and he's got a slew of awesome rewards to tell us about to prove it! Special edition comics, jewelry, backpacks, and original art litter the campaign!